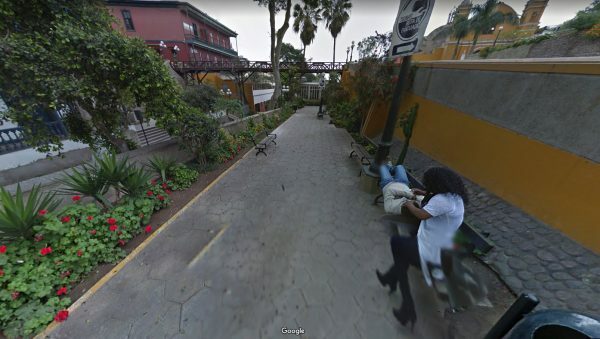 A man uncovered his wife’s infidelity when he stumbled on a few pictures of her cuddling with another man on Google Street View in Peru, according to local media. The pictures had been taken five years ago. Ironically, He had been been looking for directions around the popular iconic location known as the Bridge of Sighs in the Barranco district of Lima, Peru. After seeing the images of her on a bench with a mystery man, he confronted her, and subsequently divorced her, according to many local South American reports that cite unverified reports on social media. The images can be verified, but not the story. None of the dozen or so local media reports carry interviews with the man, who is not identified. However, the pictures in question can be seen clearly on Google Street View in Barranco near the Bridge of Sighs. 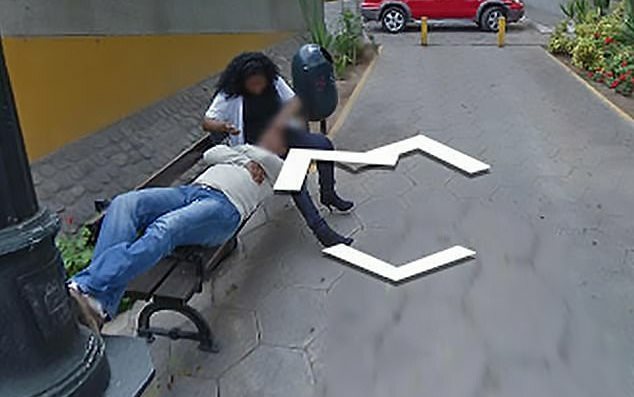 The images show a woman sitting on a bench with a man, caught by the camera in photos as it mapped the area. In most of the images she is sitting while he lies with his head in her lap. Street view blurs identifiable features, including house numbers, car registrations, and faces, but he was able to identify his wife from her clothes and build, according to the reports. The pictures are apparently from 2013. Some of the local reports said that the couple had already separated and that the pictures furnished him with evidence of her infidelity. When he confronted her, she admitted her transgression, according to the reports. According to AMP, the pictures confirmed warnings from friends at the time who said that they had seen her with another man. It isn’t the first time that Google’s mapping tool has brought unexpected revelations, from armed robberies, samurai swordsmen in battle, and penguins on a bike to pyramids and potential UFOs. A Russian woman in 2013 claimed to have found a picture on Google Street View of her fiancé with his arm around another woman. “I looked more carefully, zoomed in and saw that it was indeed him. I realized that he was lying and cheating on me all this time,” she said. She called off the wedding and broke up with him. 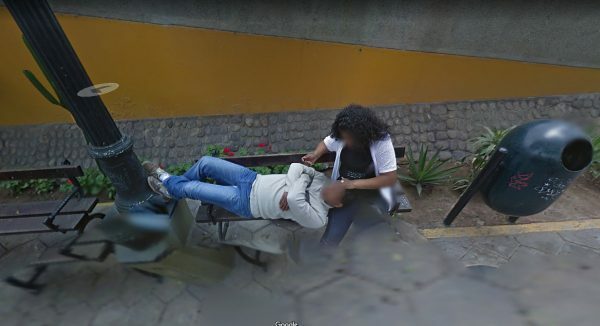 Earlier this year, a Mexican woman spotted her husband on Street View with his arms around another woman, according to the El Nuevo Herald. An armed robbery was captured by Google cameras in South Africa in 2015, as reported in the Independent. The sequence of images shows a white BMW pulling up behind a security vehicle in Johannesburg, before two men get out.